Welcome to winter boys and girls! When you look at the rest of the country (Winnipeg –23, Toronto –10 with freezing rain, Calgary –17 with snow) we really shouldn’t complain. That said we are in for a cold one this weekend with temperatures in the negatives and possible snow today. Almost every year we see a 10-20 day cold spell around February and there is no way to sugar coat it, fishing gets hard. The only bright side is that our amazing BC steelhead are not as affected by cold as bulltrout or resident rainbows and reports this week were better than we expected. It has slowed with the cold but if you are getting out you still have a real chance for steelhead on our valley rivers. If you are heading out for trout and char species it will obviously be challenging conditions, but we are not expecting temps in the negative 6-10 range. When it gets into that range we give up reasonable hope. With temperatures ranging from 2 degrees to negative 3-4 degrees you still have a chance if you go prepared, fish hard and don’t expect high numbers. With this in mind we will look at some cold weather strategies in our river reports below. 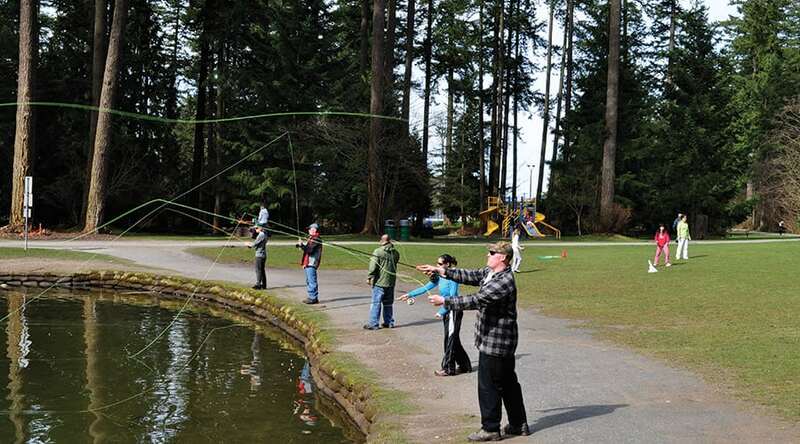 On the saltwater front, lots of folks are heading to the boat show this weekend but if you are getting out, the reports of good prawning and winter chinook fishing keep rolling in. Jason has intel in the saltwater section at the end of the report. If you are going to let the cold beat you and take the weekend off from fishing, we continue to expand the fly tying department and we have a bunch of tying courses coming down the pipes. 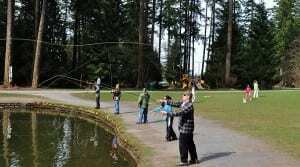 Jordan is teaching a bulltrout fly tying course and we still have a few spots left. Check it out in the course section. 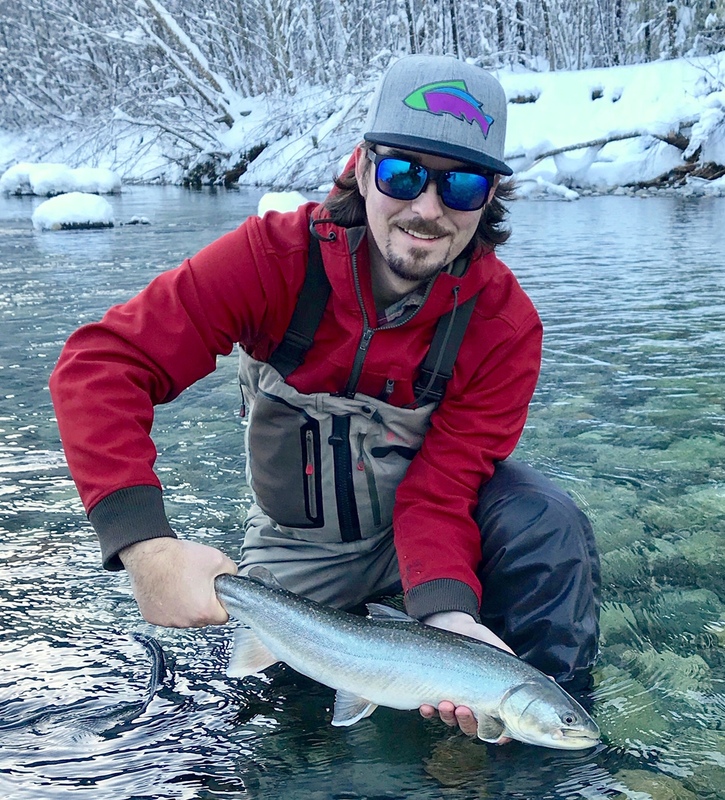 With this course in mind Jordan has posted one of the patterns he will be featuring, and it just so happens to be a great cold weather bulltrout pattern when tied it in small sizes. Check out the write up below and if you want to tie some and can’t make the course come down to the shop and we can show you the materials he uses. 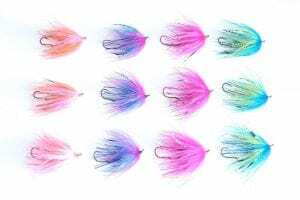 This simple fly is nothing special to look at, but by composition and design, is one of the most effective streamers an angler can carry. It’s tear-drop shape, counter-shading, and simplicity are all key factors when trying to tie up a good sculpin. Tied on a variety of hooks in different colours, this fly can go from freshwater to salt in a blink of an eye. This example has colours that are ideal for bulltrout but it can be adapted for salmon or steelhead quite easily. 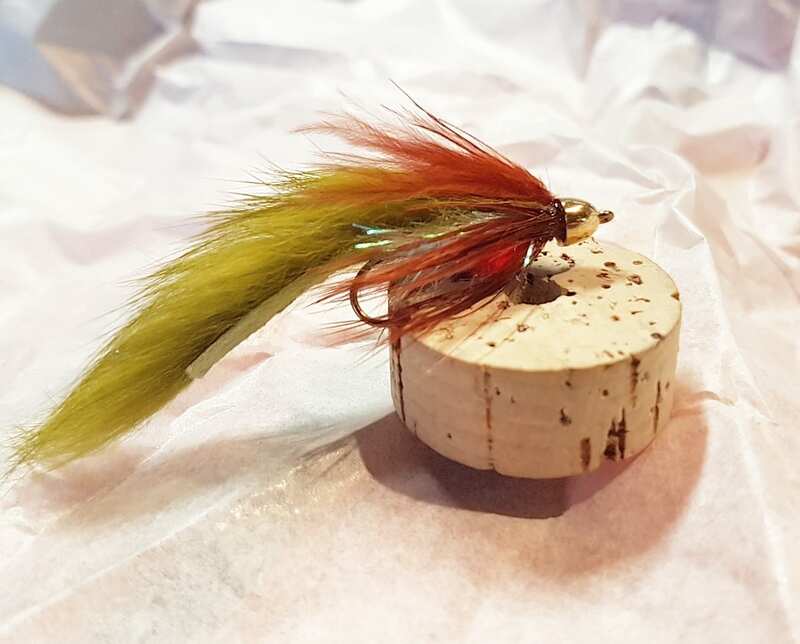 Right now, tying this pattern in a 2-2.5 inch length in drab olive and brown colours like the one in our photo will be excellent for the low clear conditions when fishing for bulltrout on our local streams. This will be one of the first flies we look at in our Tying Bulltrout Patterns course. It is a great foundation for the more advanced patterns covered in our course. If you can’t make the course come down to the shop and I can walk you through how to tie it. Cold and clear. Winter has finally shown its face. We are looking at negative temperatures for highs for the next few days and that is going to make fishing difficult but not impossible. A few things that I have learned fishing the Squamish area over the years in conditions like this, is to pick spots that you know will have sun exposure. While it will still be cold, it wont be as cold for you, or for the fish. The sun will also make it a bit harder for the fish to see your presentations so they wont be as picky. Fishing areas in the shade when the water is gin clear, the fish are able to see your offerings from a mile away and they can really be picky when they are deciding if they want to eat it or not. 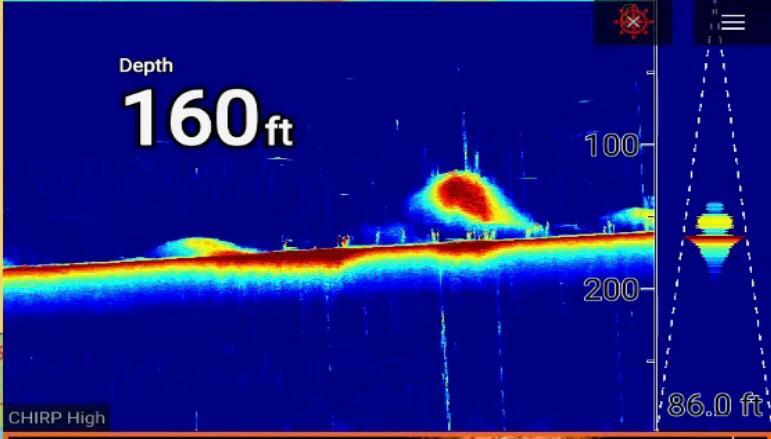 We know some obsessive guides who actually look for runs with angles that will have the sun in the fish’s eyes on overly clear days and vice versa on days that they are concerned the fish will not see their fly they will look for runs and angles where the sun will not be in the fishes eyes. A little obsessive but food for thought. With the clear conditions the other obvious thing you can do is fish smaller presentations. Small flies, gooey bobs, jigs worms and beads are all go to’s when the water is clear. If you can find a pocket of water with a bit of colour, which you might if we see some of the predicted snow on Friday or Saturday, you can bump up the size of your gear. A nice bull that fell for an egg yolk trout bead. 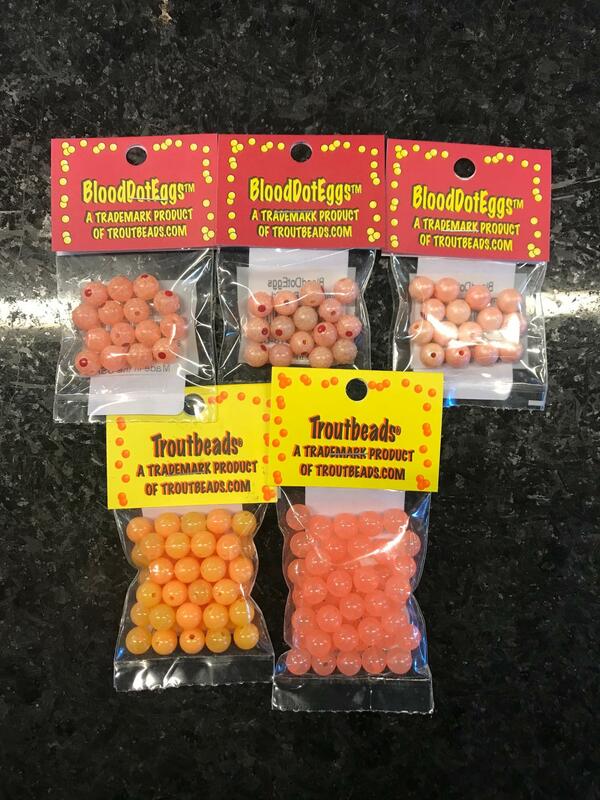 If you are beading for trout really focus on pale bead colours this time of year; apricot, peach pearl, glow roe are great choices that you might already have. We brought in 2 of my favourites recently that I fish exclusively this time of year and have had great success with them over the past couple of winters, egg yolk and peach roe. These colours have a great transparency to them and look awesome when you peg them with the red, or hot pink peggs. Blood Dot Eggs in apricot, peach pearl and glow roe. Regular Trout Beads in egg yolk and peach roe. One thing that makes life a lot easier for rigging up beads in the cold is pre-tying your hooks and eggs to a small sized hook snap on 12-18″ of tippet material. Then you can wind them up on a leader board and when you want to change bead colour or if you break off you just snap on a new pre-rigged bead to your leader, which will have a small tippet ring or micro swivel attached to it. This makes like a lot easier when you can’t feel your fingers and you will spend less time dealing with finicky knots. 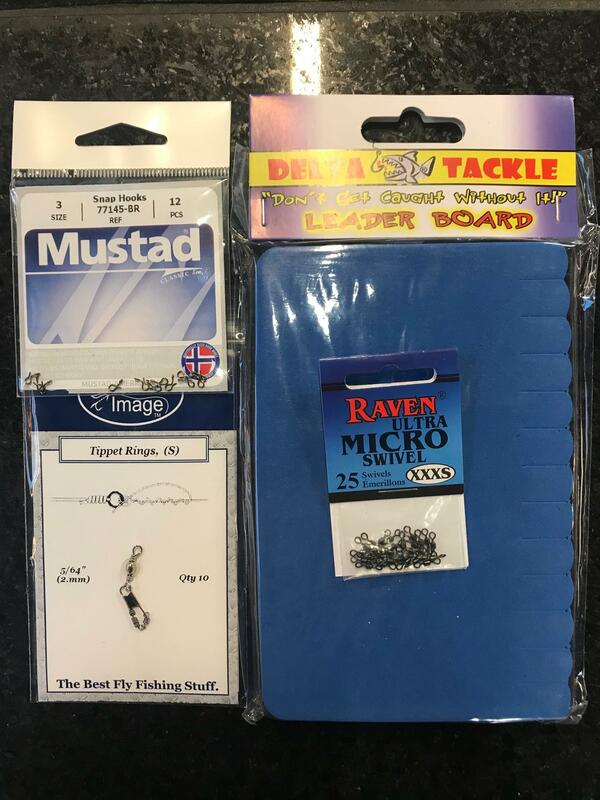 If you need any help pre-tying your beads or need a hand picking out some gear don’t hesitate to come on into the shop and we will get you sorted! We are in our deep freeze as we get a taste of that Polar Vortex that the rest of the country has been dealing with. 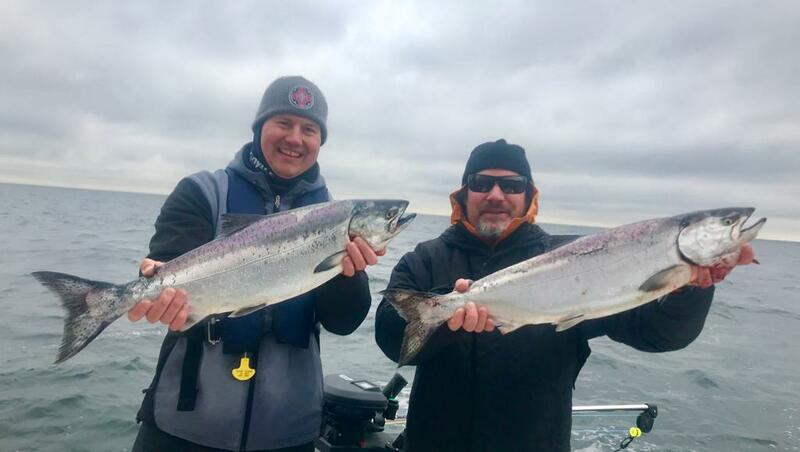 There haven’t been many reports from this week but that was to be expected; it’s been consistently in the negatives, which equals tough fishing with frigid fish and clear conditions. Finesse presentations on the outside edge of the transition lines and choppier water will be key. You can also fish a bit slower and more thoroughly too as the fish will be less likely to travel far to hit your presentation. The few fish we have heard of have been from mid-river and down, with some slim pickings higher up. While it doesn’t look like this coming week is going to be as cold it will still be hovering around zero degrees celsius at best so bundle up. This is a good time to get layered properly and we have all the right stuff to keep you warm for your Polar Vortex Winter steelheading.